These LED downlights are a DLC listed product which makes it rebate-eligible, and can easily replace your halogen downlight up to 250 watts and bring you the energy-saving of 88%. It is also having a dimmable feature that offers you an option to control the illumination of light at your place. 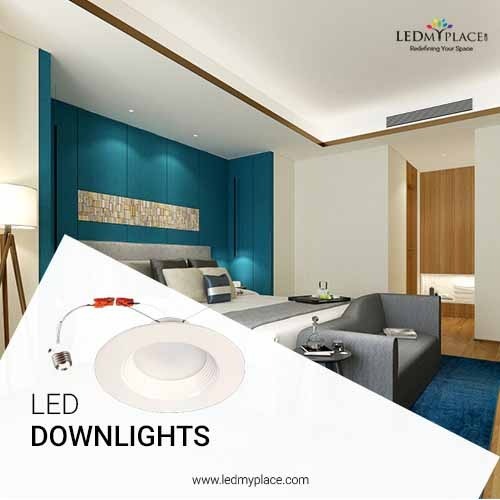 LEDMyplace offers you the multi-trim option in LED Downlight - Baffle-trim design, Eyeball-trim design, Disk-design, and these lighting fixtures are mostly preferred in bathrooms, kitchens, hallways, living areas, and study. Talk to our customer expert for any queries on (888-972-6211).